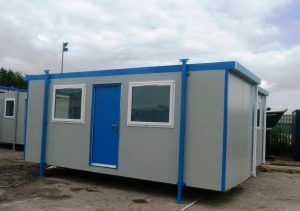 Whether you need a temporary office, mobile classroom or site canteen for instant accommodation solutions, choose from our range of portable offices for sale. A big advantage associated with the purchase of a portable cabin is that it takes much less time to install than building a traditional brick structure. Less time is spent getting your new building ready, meaning fewer resources are used, which also reduces the amount of harmful emissions released by any on-site machinery. There are other factors as well, such as reduced vehicle emissions from workers not arriving to your site every day for an extended period of time, greatly reducing the amount of harmful emissions normally associated with construction sites. 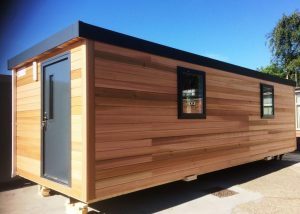 A refurbished modular building not only saves vastly on carbon emissions, but also reduces unwanted landfill disposal, providing an exceptionally sustainable form of relocatable accommodation. These environmental considerations are increasingly sought after by Local Councils and Planning Authorities, often aiding the building planning process with their sustainable credentials. If you an office or space that is required on a site that’s constantly changing due to construction work or other reasons, then erecting a permanent building makes very little sense. The environmental impact, not to mention the cost of building one simply does not merit the use it would get. With that in mind, a portable building is a much eco-friendlier choice. When you have the need to move your office space to a new location onsite, the portable office can simply be taken away and reused at the next location where needed. 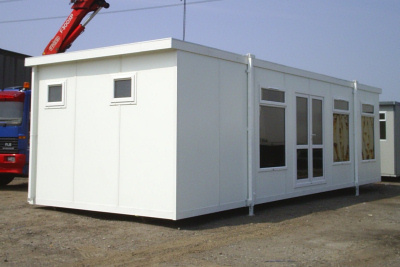 Installation is a massive part of the fantastic service available from Excel Modular, transporting your expertly designed portable building to any location in the UK and installing them, ready to use, in the quickest, most efficient way possible. From simple lorry mounted crane deliveries to groundworks, services and service connections, landscaping and any necessary permissions, Excel Modular has extensive of experience in taking care of every aspect of the building installation process. When looking for a portable cabin for sale from Excel Modular, you’ll benefit from the ability to choose from a variety of sizes, ranging from 2.4m to 12m long. We also offer a choice of three types of cladding, as well as a premium textured paint finish such as plastios steel and cedar / larch timber clad. All portable offices for sale come complete with lighting, heating and floor coverings. The internal layouts can be open plan or adapted to suit your particular requirements. 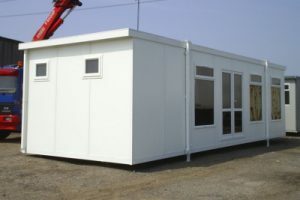 Excel Modular is your first port of call for premium quality portable cabins for sale. If you would like to know more about the various specifications included in our range of portable offices, please call 01482 488 664 or email sales@excelmodular.co.uk. Alternatively, you can get in touch with us by filling out and submitting your query using our online contact form. We look forward to hearing from you. You may also be interested in taking a look at our selection of cabin and anti-vandal hire from our depot in Hull or our refurbished units on our stock page.